We are deep into the fall season and headed strait into winter. 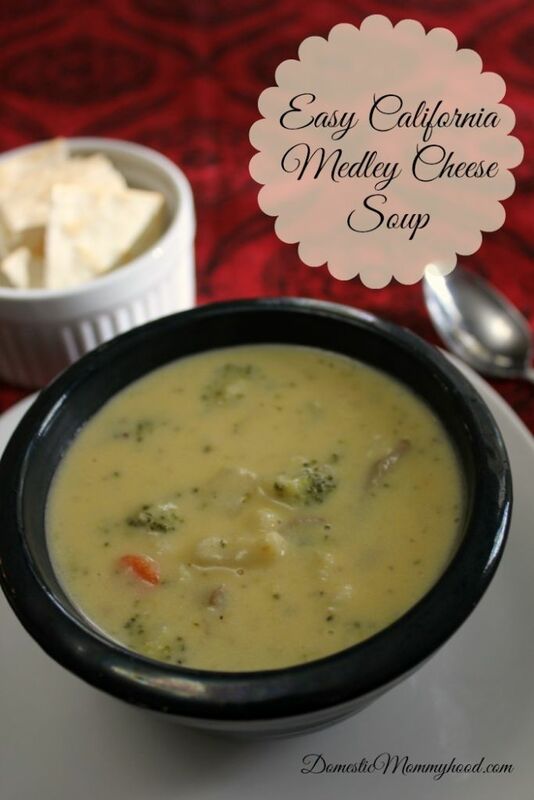 Ready or not, it is here to stay for a while making it the perfect time for this Easy California Medley Cheese Soup. It’s warm and creamy and so good on a cold winters night. It took me about 15 minutes of prep time and about 30 minutes to cook and then it was ready to go on the table! It is one of my families favorites and I’m sure it will be your families too! Place first 7 ingredients into a large stock pot and cook for 20 minutes until vegetables are tender. 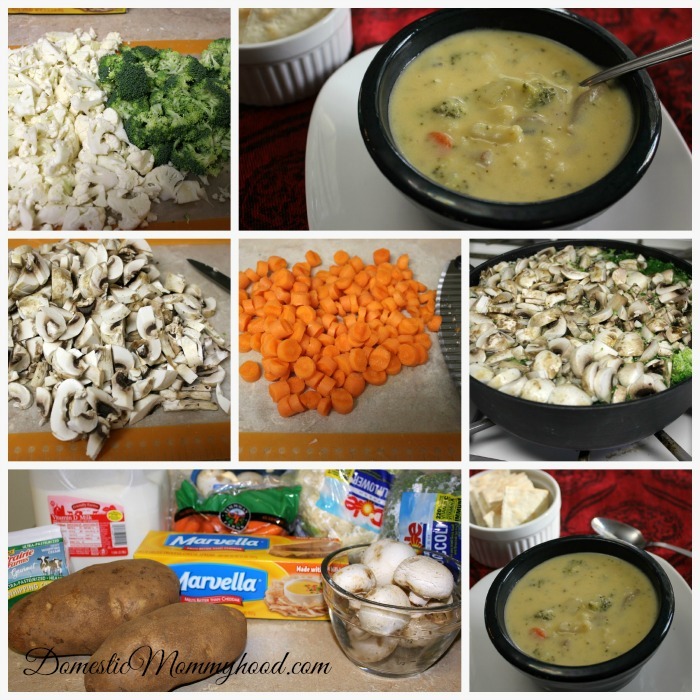 Add in cans of soup, cheese (cut into cubes), heavy cream and milk. Heat on very low heat just enough to melt the cheese. You can make this recipe a little easier by just cutting up the potatoes and substituting a bag of California Medley frozen veggies instead of using fresh veggies. I like to use the real thing but if you are short on time and looking for something just a tad easier then grab the frozen stuff. All you need to do is add in the frozen veggies about 10 minutes into the cooking time. It tastes almost just as good and will cut about 15-20 minutes off your prep time. If you are looking for more easy dinner ideas make sure you stop by and check out my 8 different ways to make Hash Brown Casserole or my 5 ingredient Pork Chop and Rice Bake. *** You must use a homemade rue or cornstarch to thicken the soup.